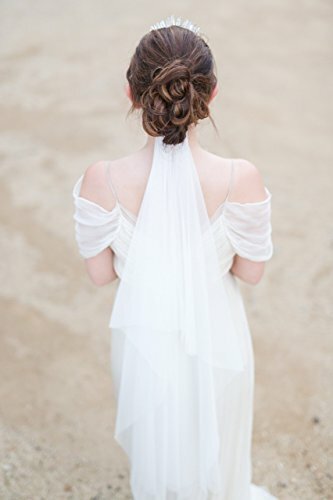 Fingertip length bridal veil in English net. Versatile and elegant, the Parker is a single tier drop veil finished with handkerchief points that fall just below the hips. Securely fastened to a gold comb with a row of small, delicate pearl beading, the Parker is both feminine and modern. This veil can be made shorter or longer by request. If you have any questions about this product by Bespoke Bridal, contact us by completing and submitting the form below. If you are looking for a specif part number, please include it with your message.